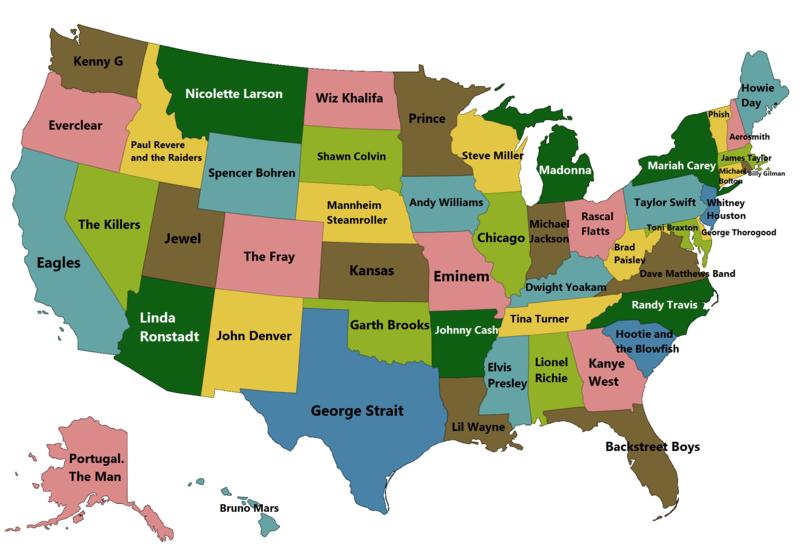 The map above shows the best selling singer, musical artist or band from each of the 50 US states. 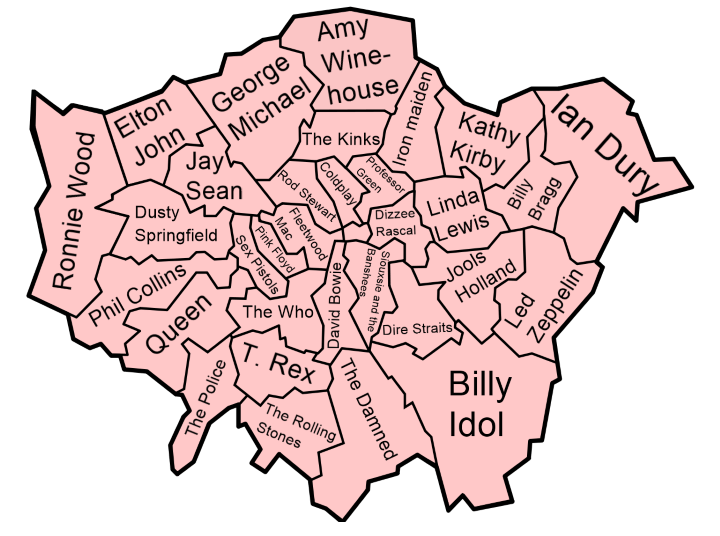 While many expected names make the list such as Elvis, Prince, Madonna, etc. there are quite a few surprises.